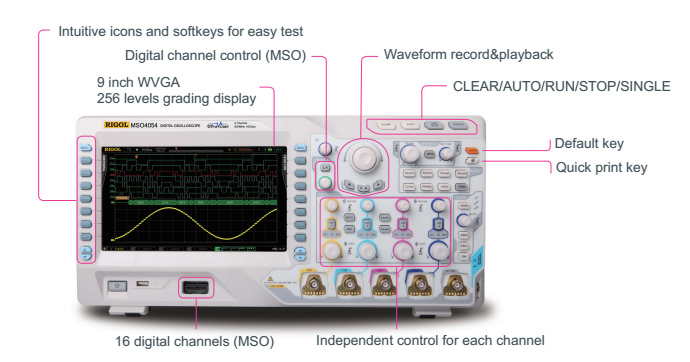 ATO offers Rigol DS/MSO4000 series digital oscilloscope which has 500 MHz bandwidth, 2 or 4 analog channels, 4 GSa/s maximum real-time sample rate and 140 Mpts maximum memory depth. 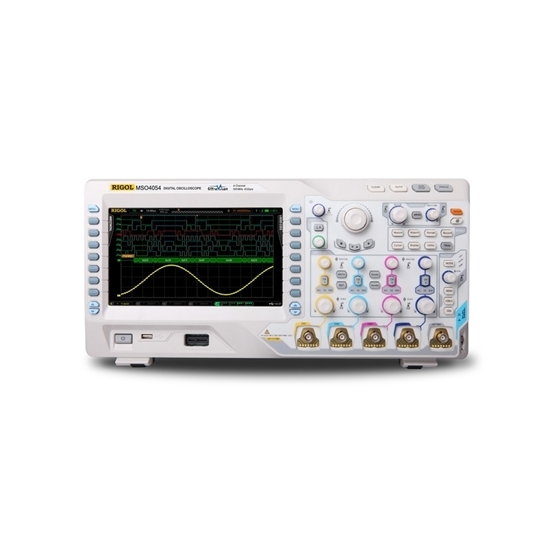 The high performance digital oscilloscope is ideal for a wide variety of engineers working in communications, defense, aerospace and industrial electronics. Sampling rate is an important index of digital oscilloscope. Sampling rate is also called digitization rate. It refers to the sampling time of analog input signal in unit time and often expressed in MS/s. If the sampling rate is not enough, aliasing is prone to occur. If the oscilloscope's input signal is a 100KHz sine signal, the oscilloscope's display signal frequency is 50KHz. What's going on here? This is because the oscilloscope's sampling rate is too slow, resulting in aliasing. Aliasing is when the waveform frequency displayed on the screen is lower than the actual frequency of the signal, or the displayed waveform is unstable even if the trigger indicator on the oscilloscope is on. So, how do you determine if the waveform shown has been duplicated for a waveform of unknown frequency? The frequency parameters of the waveform can be changed rapidly by changing the sweep t/div to the faster time base. If it is, the waveform mixing has occurred. Or the swaying waveform stabilizes at a faster time base, indicating that the waveform alias has occurred. According to Nyquist, the sampling rate is at least 2 times higher than that of the signal high frequency component, and it will not occur. For example, a 500MHz signal requires at least 1GS/s sampling rate.